Written in three sizes and three gauges to fit most anyone (see notes below for more). 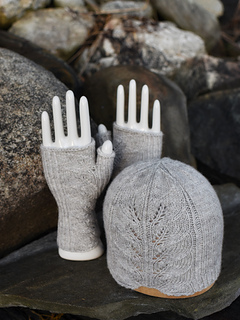 Half the fun of being a knitter is having the very cutest sets of cool weather accessories, right? 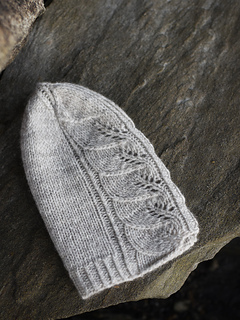 So when I finished the leafy cuffs, it was only natural I’d make a hat to go with them! 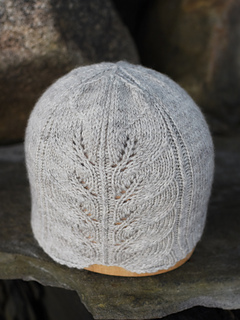 The same beautiful lacy leaves run up the side of this hat. 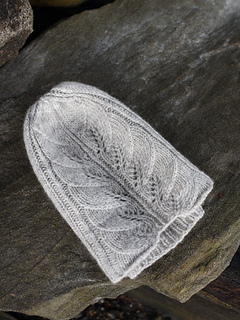 But hats don’t have quite as many curves and bends to contend with as cuffs, so the background here is stockinette instead of ribbing. 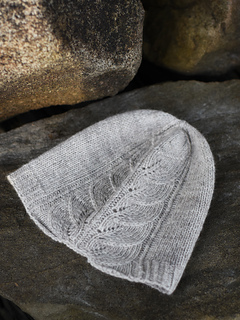 The leaves finish up nicely and are followed by some tidy decreases (to keep everything centered and all the focus on the pretty lace). 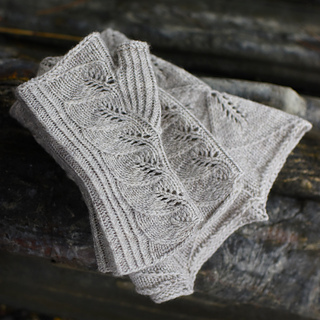 The result is a project that’s quick, cute, and a perfect to pair with the cuffs! 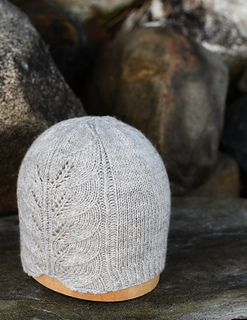 The hat is written in three sizes each (caston of 98, 106, or 114 stitches), and you should feel free to adjust your gauge a bit to fine tune the fit of the pieces. Just be sure that you’re working at a gauge that gives you a fabric you like with your chosen yarn! I recommend working at something around 5, 5.5, or 6 stitches per inch, and I’ve included a table to help you figure out what gauge you’ll want to use for your size. With that range of sizes and gauges, the hats will fit a head between 18.75 and 26.25 inches (with lots of points in between). 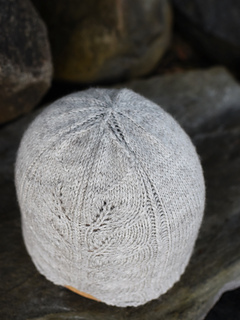 My hat took about 175 yards of yarn, and you can almost certainly make any size with 225 yards or less. The pictures down at the bottom show the other pieces in the set. You can get all of them together for a discount, check out the top of the page for more info.